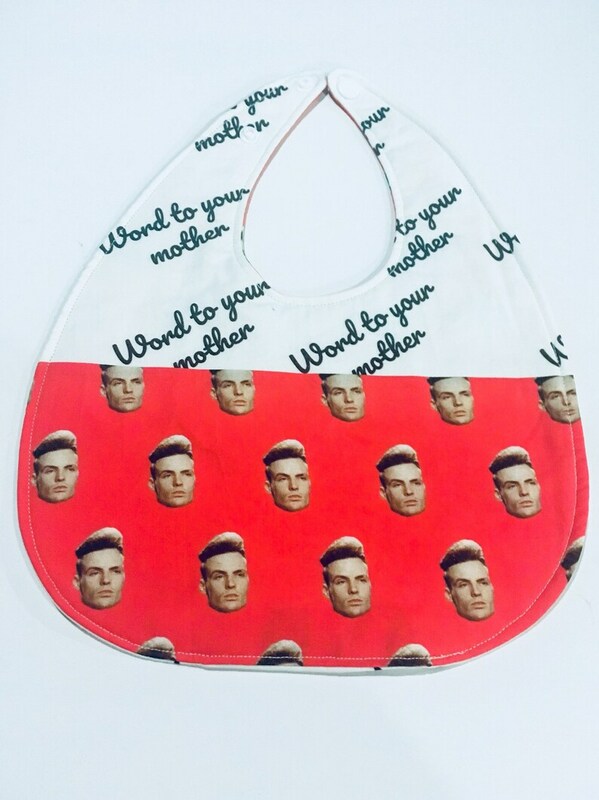 This Vanilla Ice baby bib features his wonderfully intense face floating on a red background contrasted with a white fabric featuring the bib perfect slogan "Word to your mother". This baby bib is handmade with 100% cotton fabric, a bamboo quilters batting for maximum absorbency and several plastic Kam snaps to adjust the neck as baby grows. - 2 different Kam snaps for various sizing. This allows the bib to grow with baby. I personally have had these on 6 month to 6 year olds. NEVER allow a child to sleep with a bib on. Please contact me directly with any questions you may have. The absolute best. These bibs are amazing and the seller is just so great.